Wow. What a mess. Sort of like Apple's MobileMe, but not. 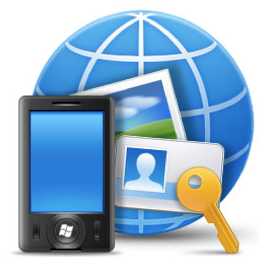 My Phone will sync Windows Mobile settings, contacts, calendar data and photos, and provide a web interface for accessing and editing that data. It will even back up and restore the entire device via the cloud. And it's free. But, unlike MobileMe, it doesn't push updates immediately when they're made and doesn't sync at all with desktop apps like Outlook, Vista Mail or Vista Calendar. It also has no integration with Live Hotmail, so users with a Microsoft email account won't be able to sync their contact data with My Phone. "If you have Windows Live installed on your phone," the company's site notes, "it will synchronize your Windows Live contacts with the Windows Live web site, and My Phone will synchronize your other contacts to your account on the My Phone web site." But not with each other? Better yet, if you need to sync with Microsoft Exchange for work, then forget about My Phone, as you can only do one or the other. So, uh, which sync should I use? Beats me. Get an iPhone. Or an Android gPhone. Or a Palm Pre. Even a RIM Blackberry. Oh, if that wasn't enough, it appears that the service is not based on Microsoft's Live Mesh and Windows Azure, the cloud computing platform Microsoft is gearing up to provide to third party developers, or on Microsoft Exchange. So it's yet another Microsoft platform that doesn't interoperate with the others. Nice. Great way to get those developers on board. If this doesn't encourage people to drop Windows Mobile for some other smartphone platform, I dunno what will. In typical Microsoft fashion, though, look for major improvements with the next major release in a year or six.